Attention Kym age 48, and other Tinder women of darker complexion. Taking your photo against a black background is NOT a good idea. 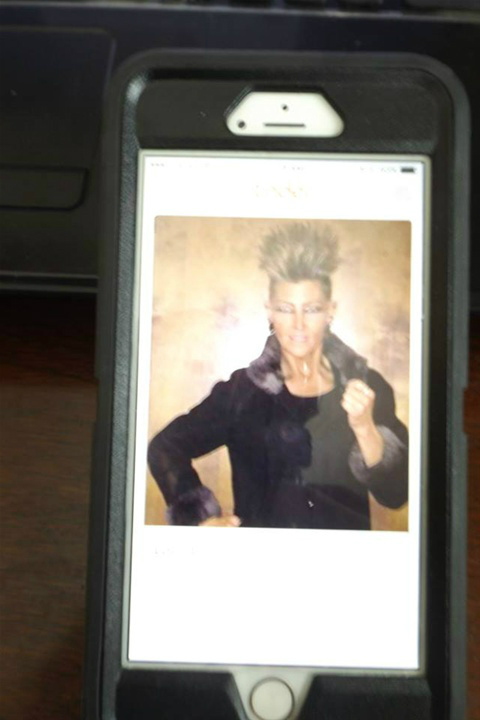 TINDER PHOTO ADVICE: There is a little button on your phone that REVERSES the image so prospective mates, like me, can SEE your face (the picture the girl posted had her phone in front of her face). After analyzing 714 Tinder profiles, the average woman is 5'8" tall in heels (i.e. NO short men), wants someone to make them laugh (A clown), enjoys fine dining (Take me out), loves to travel (Take me on trips), does not want a texting relationship (Feed me NOW Seymor), and are either a hair stylist, airline stewardess, yoga instructor, or the CEO of a corporation they founded (Own a one person company which makes no money). They will not cross the Hudson River from NYC to NJ but they LOVE to hike (Really? ), does not want a "hook-up" (Oh yeah, TINDER is the answer), are not fat but "curvy" (Fat), rides horses and skis (again, really? ), and are in their 40's (i.e. 50's - 70's). For some reason, 5'9" health officers living on an island are NOT what they want lol. 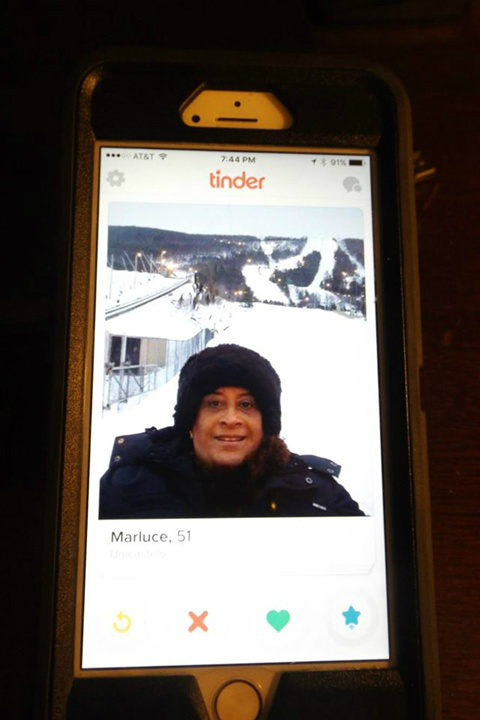 I was bored tonight and decided to peruse Tinder under "male seeking female" even though I gave it up, and found Marluce, age 51. Marluce, if you are out there, you remind me of my cousin Dominick. Judging from your cute photo, Dominick is ALSO an avid skier. In addition, he is ALSO age 51. I remember in college he could bench 300 pounds and played left tackle for the University of Miami.